Here is the first blog post about my playscale shoes collection. 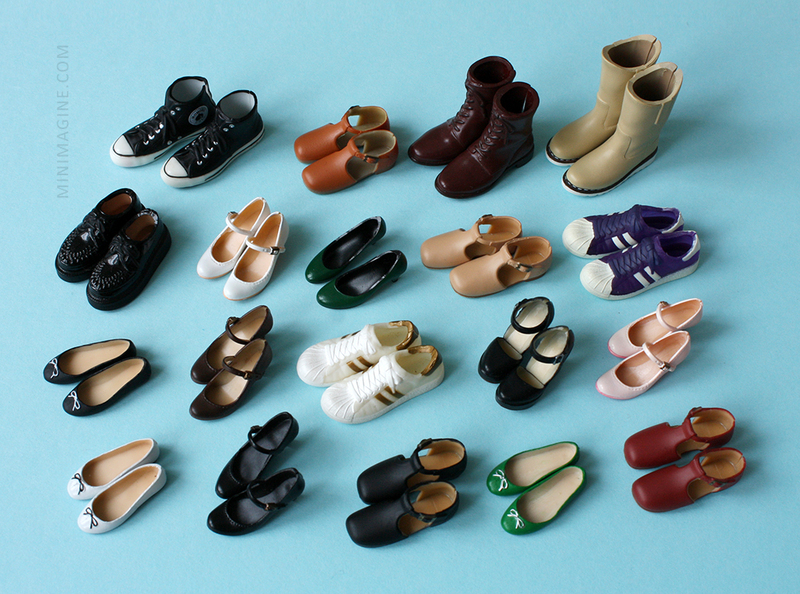 It will be a review of different shoes from various dolls. I will start from my favourite Momokos. Momoko dolls have of course many original shoes by Sekiguchi and Petworks/CCS. They are very well made and look realistically. They are released in nice colors and fit for many styles. Some of them are big enough to wear them with socks. I love how detailed they are. Momoko dolls are able to stand without support in their shoes. Below are my favourite Momoko shoes. They can be put on easily, without fear of breaking an ankle. What about shoes from other dolls? You can see a comparison of playscale dolls' feet here. Let's check shoes from Barbie Fashionistas. All ten pairs presented above fit Momoko well. As for these lilac chunky heels, only the pair on the right is good. All three pairs of shoes below are too small. These on the right are quite good only if you take photos from the front. Black and white open toes are too small, the purple ones don't look good. What about vintage Barbie shoes? They all are too narrow and don't look good on their feet. The brown shoes are not from Barbie - they are made of soft rubber and fit perfect for Momoko dolls. These pink ones have to short heels to stand without support. And last but not least: white boots with laces are not too big as usually such shoes are. Red and blue sandals are from old Polish dolls I suppose. 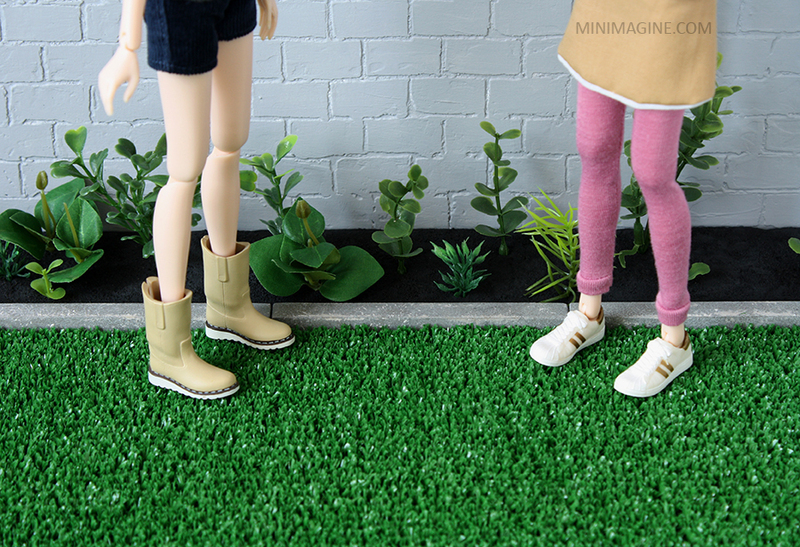 As you could see, Momoko can share some shoes with current Barbie. My favourite are below. 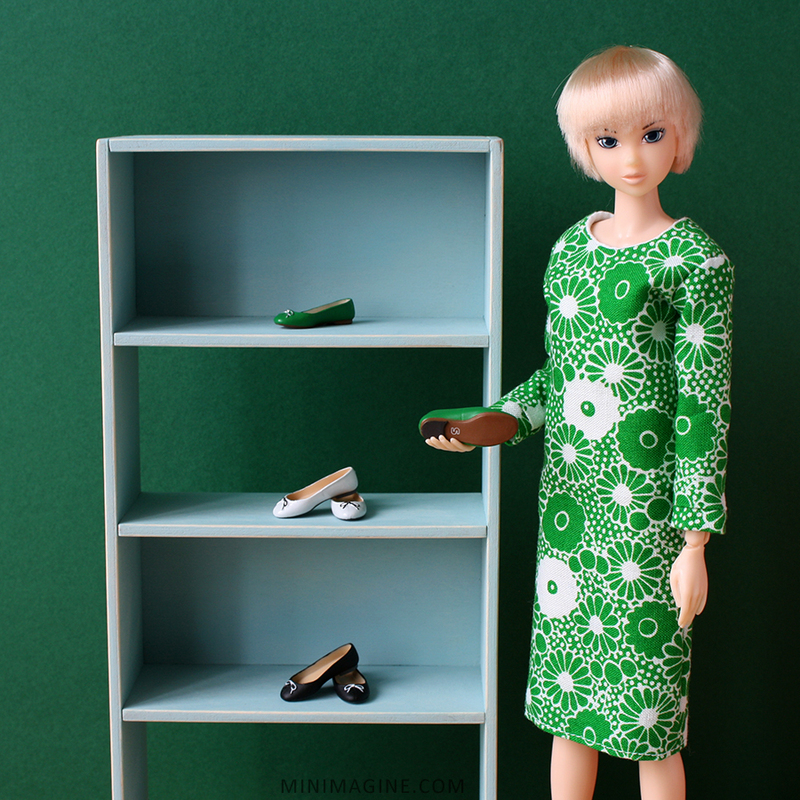 More photos of original Momoko shoes and the whole series about shoes for dolls in 1/6 scale. Dobra strategia! :-) To fakt, niemomokowe buty mają często nienaturalne kolory. A lalka z pierwszego zdjęcia to Momoko Wake Up 009. So many shoes! Shoes are my favorite part in every doll collection. thanks for sharing yours with is, I think this will be super useful! I'm very glad that it will be useful for you. Wow thank you for this thorough presentation, it was very interesting once again :). Great work for Momoko's science ;) ! I will have to check some Fashionista shoes now :). Uwielbiam buty dla lalek a przedstawione tutaj są po prostu cudowne! Wyglądają tak realnie, że chętnie nosiłabym je sama! Thank you for this useful post. 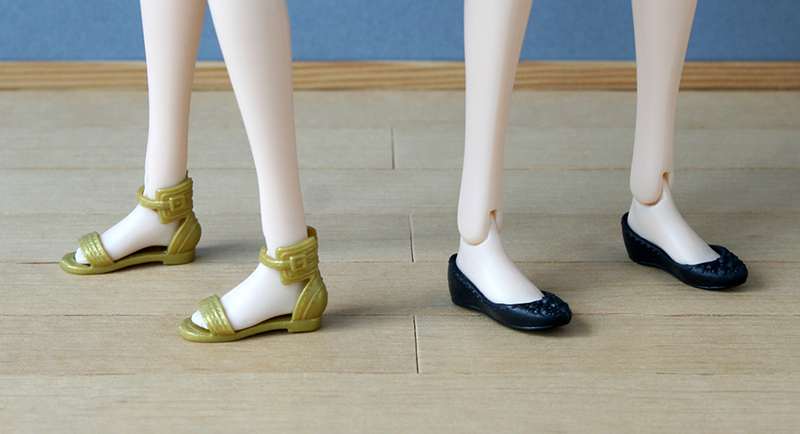 I have to agree about Momoko shoes, I really like the way they're design and how they look. A lot more detailed than Barbie shoes I feel. I'm a huge Momoko shoes fan. Mattel made some more detailed shoes lately but they are still unpainted. On the other hand, they are much cheaper.